As a business that sells to the healthcare sector, it can be hard to reach the people that really need to be reached in order to show them the benefits of the product or services. By understanding how hospital administrators buy new products, OrthoGrid wanted to create content that would help them to make their buying decision. 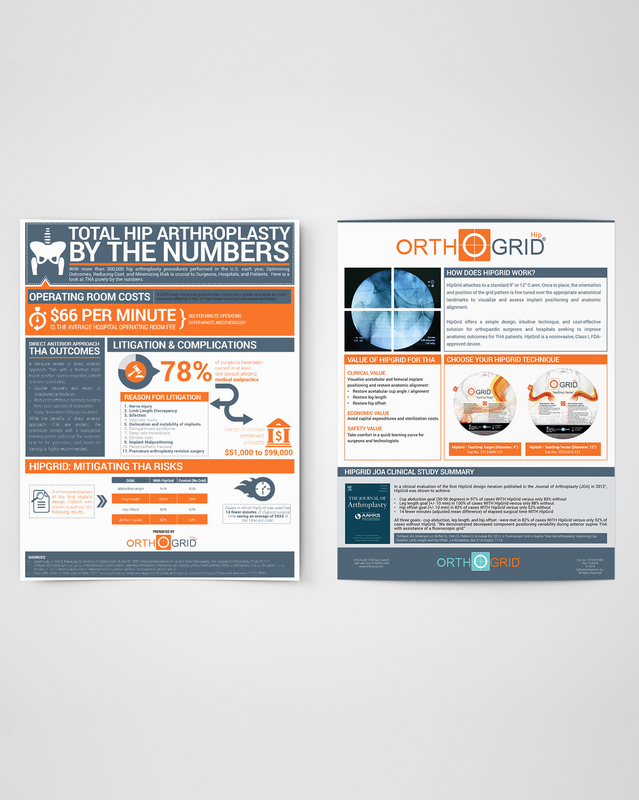 OrthoGrid wanted to create content that helps the hospital administrator buyer persona to make their decisions. Hospital administrators look for a deeper education, 75% of them said they looked for clinical data and 82% said they looked at product reviews and comparison so creating a piece that took this into account was important. People no longer just wish to scan through pages of text when they want to read/learn things. They want more compelling visuals along with textual content. Which is why it is not surprising that infographics have quickly risen in prominence over the past few years because they are able to provide information to people in an attractive visual format. 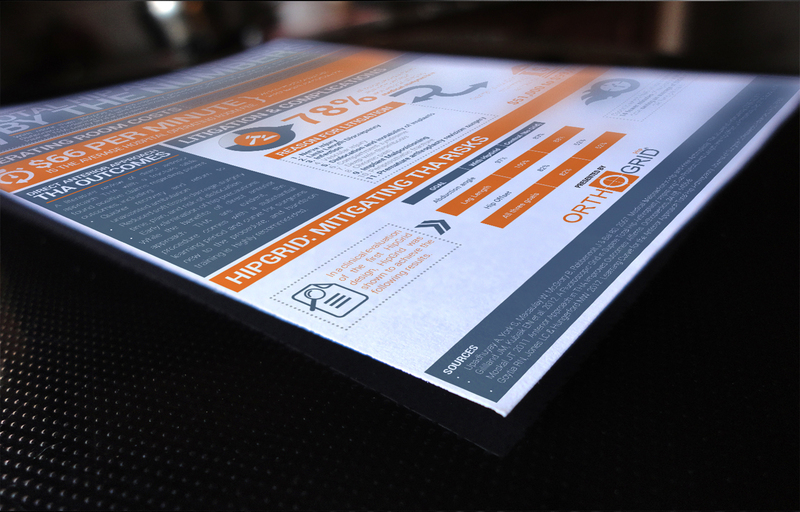 Armed with this knowledge, I created two size infographic sellsheets for OrthoGrid. One side contained supporting data from leading sources about the cost and risk associated with hip-surgery. 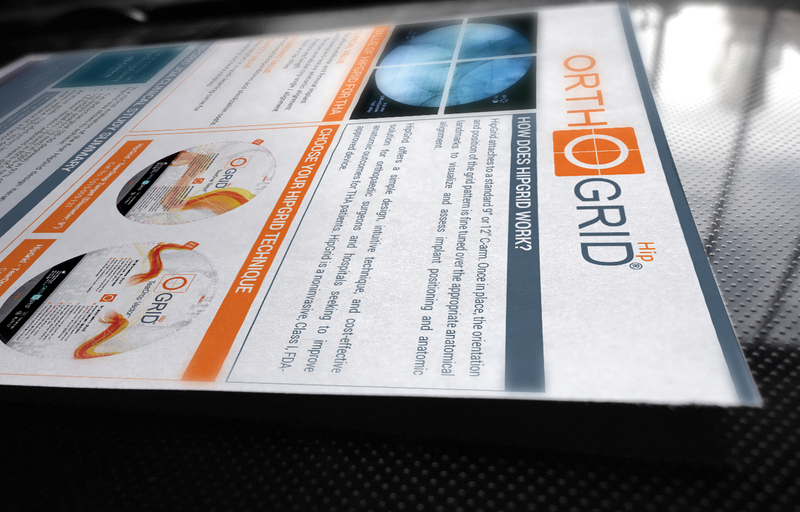 The other side contained selling information and data about the products offered by OrthoGrid. Two-size sellsheet – poster size and letter size.